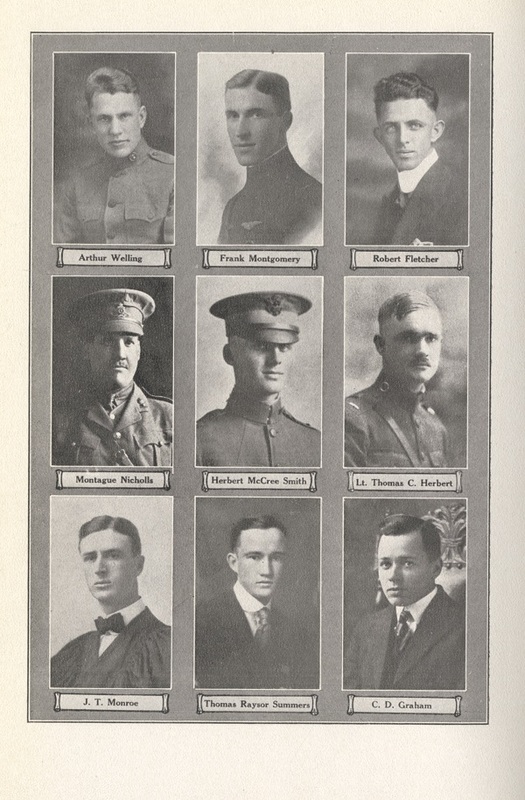 Today is Armistice Day – the 99th anniversary of the end of World War I.
Seventeen Wofford graduates and students, including three graduates of Wofford’s Fitting School, died during the First World War. 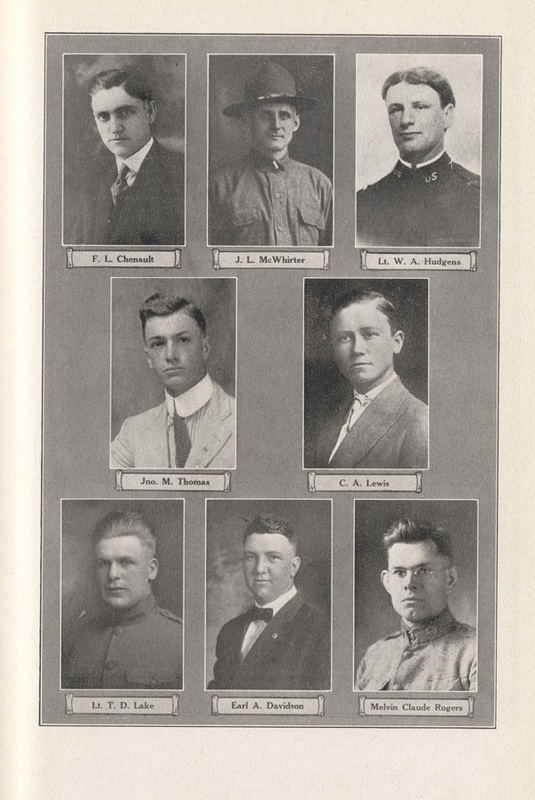 The College’s Alumni Bulletin published their photographs and biographies in 1919, and the College remembered their service and sacrifice at a memorial service during Commencement 1919. Below are the pictures of those 17 who gave their lives in the war to end all wars.